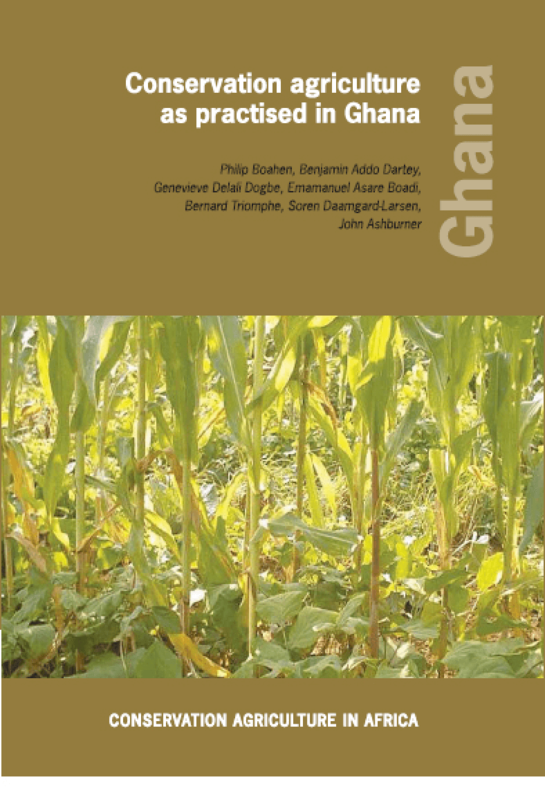 This case study presents the status of conservation agriculture in Ghana. It is one in a series of eight case studies about conservation agriculture in Africa, which were developed within the framework of a collaboration between CIRAD (French Agricultural Research Centre for International Development), FAO (Food and Agriculture Organization of the United Nations), RELMA-in-ICRAF (Regional Land Management Unit of the World Agroforestry Centre) and ACT (African Conservation Tillage Network). Copyright 2007 African Conservation Tillage Network (ACT), Centre de Coopération Internationale de Recherche Agronomique pour le Développement (CIRAD), Food and Agriculture Organization of the United Nations (FAO).